Building on my previous post, lets dig a bit deeper into psychotherapy and specifically contributors in the field of Marriage and Family Therapy. I hope you are still with me as this information can get a bit overwhelming. In case you missed them, please read my prior two posts on this topic: Feminist Family Therapy: Do You Really Have to Hate Men? and Feminist Family Therapy: Core Assumptions. Through the 1970s and 1980s, white males dominated the field of psychology as therapists and theoreticians. Contrarro and Rossier (2005) claimed that, “The feminist therapy movement emerged from some of the major questions that women, practitioners, and theorists struggled with” (p. 9). Many of these theorists provided the foundation for the feminist psychotherapy that is present today. There are several significant pioneers in developing theory in feminist psychotherapy. Lerman (1986) and Chodorow (1978) have each made contributions in the realm of how women develop their identities. They challenged the popular developmental frameworks of Sigmund Freud and Erik Erikson, which are standards for psychotherapeutic practice. Sturdivant, Rawlings, Carter, and Greenspan all aided the development of specific feminist therapeutic techniques and treatment philosophies (Contrarro & Rossier 2005). Williams and Fodor fostered further progress by focusing on the practice of feminist therapy and creating specific treatment tools. Also, Rosewater and Walker were some of the first to write about “consequences and evaluation of violence against women” (p. 9). 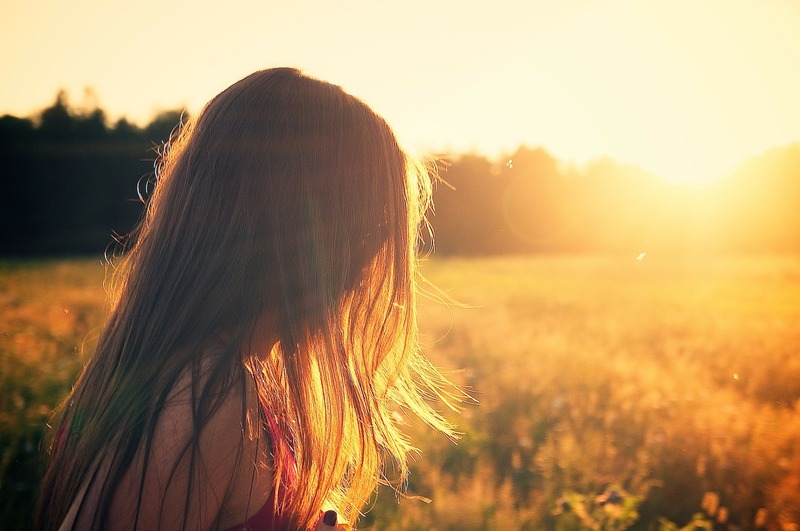 There are many names often associated with feminism and Marriage and Family Therapy. The following is a review of several significant marriage and family therapists and their major contributions. The review is not intended to be exhaustive. The Women’s Project in Family Therapy. 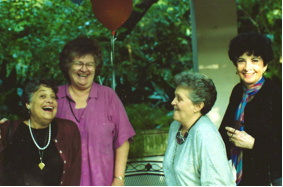 The Women’s Project in Family Therapy was born out of the work of four feminist pioneers in the field of marriage and family therapy: Marianne Walters, Betty Carter, Peggy Papp, and Olga Silverstein (1988). Marianne Walters. 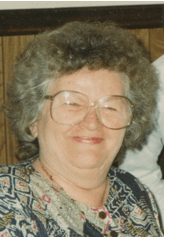 As a member of The Women’s Project in Family Therapy, Walters made many significant additions to feminist family therapy and theory (Walters, et al., 1988). As a clinician, she described herself as utilizing a “model of therapy that has evolved from structural theory to concepts of context and competence as parameters of change” (p. 12). Walters died of lung cancer in 2006, and the field of marriage and family therapy lost an influential feminist icon. Betty Carter. Another member of The Women’s Project in Family Therapy was Betty Carter (Walters, et al., 1988). Carter’s psychotherapeutic background is in transgenerational models of therapy, and was specifically influenced by Bowenian systems theory. At this time, Carter is still in psychotherapeutic practice and has a specialization in marital therapy and therapy with remarried couples (Nichols & Schwartz, 1998). Carter also used techniques, like letter writing, to improve the communication process with couple stuck in a rigid pattern of behavior. Peggy Papp. In addition to Walters and Carter, Peggy Papp was also a founding member of The Women’s Project in Family Therapy. Papp is a senior training supervisor and the director of several projects at the Ackerman Institute for the Family (Papp, 2000). Papp received the lifetime achievement award from the American Family Therapy Academy in 1991. She has written numerous articles and is a very popular international speaker. She also currently maintains a private practice in New York, NY. As a therapist, Papp is most influenced by “systemic/strategic methods with roots in MRI, Milan, and Milton Erickson” (Walters, et al., 1988, p. 12). Papp (1983) wrote, “Over the years, in my search for faster and more effective ways of doing therapy, I have come to the conclusion that no one approach is right for all families and situations” (p. 4). This blends well with feminist thought. In speaking of her own psychotherapeutic practice, Papp remarked that, “interventions were aimed at changing the cycle of family interaction in which the symptom was imbedded” (Papp, 1977, p. 143). Papp also utilizes family sculpting (Papp, Silverstein, & Carter, 1973). Furthermore, Papp (1990) also uses therapeutic debate through her mirror work. First, a team is used for consultation and to send messages commenting on the relationship between the therapist and the family. Later in the process, the team disagrees with the therapist over some issue of change thus creating a therapeutic triangle. With this technique, “…the therapist generally supported the family’s resources and pointed out a direction for change, while the team presented all the individual and systemic transactions taking place in the family that might prevent change” (Papp, 1990, p. 111). Peggy Papp also used structured fantasy and metaphors. One example, is a case of a couple having sexual problems (Papp, 1988). The wife was acting frigid, in the husband’s opinion, in bed. The husband described his wife as a cold metallic cylinder with an interior space that is empty and himself as a fireman with an axe trying to break in. The wife described herself as a snake curled up on the bank of a stream, and her husband as a cookie monster with fly eyes that see a hundred million images at the same time. Papp led them through the imagery of what would happen if the cookie monster crossed the stream to touch the snake. He clumsily steps on her and she retreats, just like in the bedroom. This changed the couple’s interactions. The husband became aware that he played a part in his wife’s emotional and sexual retreat, and that he appeared threatening at times. This intervention led to an improved marriage. Olga Silverstein. Silverstein was greatly influential as a member of The Women’s Project (Walters, et al., 1988). Her therapeutic style was best described as, “an evolved intergenerational systemic method with roots in Milan, Bowen, and Milton Erickson schools” (p. 12). Keeney describes Silverstein’s therapeutic work as “stories and stories about stories” and “a process of weaving stories between therapist and family” (Keeney & Silverstein, 1986, pp. 21-22). Silverstein finished high school and college in midlife, and then applied to Columbia’s Master of social work program (Imber-Black, 2007). Imber-Black wrote that Columbia told Silverstein “she was too old to make a contribution to the field” (p. 272). Silverstein’s career in family therapy began when she was chosen by Peggy Papp to be one of her students at the Ackerman Institute. This began their lifelong friendship and professional collaboration. 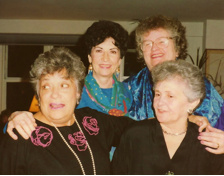 Olga Silverstein and Peggy Papp originally organized the Brief Therapy Project of the Ackerman Institute for Family Therapy, in 1975, after visiting the Milan group. Papp said that, “The concept of applying paradoxical interventions to an entire family system and ritualizing these interventions with written messages was a development of the Milan team and added to the conceptual framework upon which the Brief Therapy Project was founded” (Papp, 1983, p. 3). “The project was set up to explore the use of paradoxical and strategic interventions with families with symptomatic children” (Papp, 1983, p. 2). Silverstein was a world-renowned therapist and teacher. She also published a book, The Courage to Raise Good Men, and was rece ived as an international expert on mother-son relationships. The American Family Therapy Academy also honored her with a Lifetime Achievement Award. 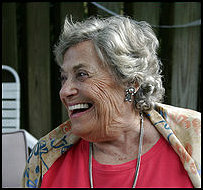 She passed away in 2009, in her New York home. The success of this conference led to further collaboration, and this group of four women decided to call their work The Women’s Project in Family Therapy. This group later presented workshops titled “The Dilemma of Women in Families,” “Mothers and Daughters,” and “Mothers and Sons, Fathers and Daughters” (p. 8-9). These workshops received widespread international success. In 1984, Walters, Carter, Papp, and Silverstein went a step further in bringing global attention to women’s issues when they outlined their ideas and experiences in a book. These writings were developed over several years, and finally published, in 1988, as The Invisible Web: Gender Patterns in Family Relationships. In my next post, we will explore the tenets of this book. Has this been helpful? Did you learn anything new? Have you heard of these women? Please leave a comment below. Chodorow, N. (1978). The reproduction of mothering: Psychoanalysis and the reproduction of gender. Berkeley CA: University of California Press. Contratto, S., & Rossier, J. (2005). Early trends in feminist therapy theory and practice. Women & Therapy, 28(3), 7-26. Imber-Black, E. (2007). Celebrating Peggy Papp and Olga Silverstein. Family Process, 46(3), 271-277. Keeney, B., & Silverstein, O. (1986). The therapeutic voice of Olga Silverstein. New York: Guilford Press. Lerman, H. (1986). A mote in Freud’s eye. New York: Springer Publishing. Papp, P. (1977). The family who had all the answers. In P. Papp (Ed. ), Family therapy: Full length case studies (pp. 143-166). New York: Gardner Press. Papp, P. (1988). Too much mothering. In M. Walters (Ed. ), The invisible web (pp. 174-180). New York: Guildford Publications, Inc.
Papp, P. (1990). The therapeutic debate. In J. K. Zeig & S. G. Gillian (Ed. ), Brief therapy: Myths, methods, and metaphors (pp. 111-119). New York: Brunner/Mazzel, Inc.
Papp, P. (2000). Couples on the fault line: New directions for therapists. New York, NY US: Guilford Press. Papp, P. (2006). In loving memory of Marianne Walters. Family Process, 45(2), 139-142. Walters, M., Carter, B., Papp, P., & Silverstein, O. (1988). The invisible web: Gender patterns in family relationships. New York: Guilford Press.